Fig. 3. Thinning of corneal epithelium. 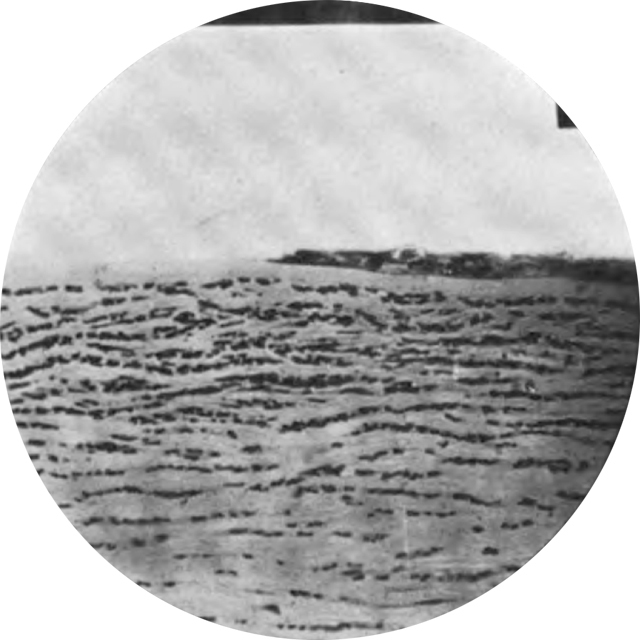 Bowman's membrane laid bare, cellular exudate in the substantia propria. Sections of gassed eyes kindly loaned by Col. W. T. Lister, R.A.M.C. Something like a No Man's Land etched into the cornea. One of several contributions to this volume, on war injuries to the eyes.